The Tropica 24 in. 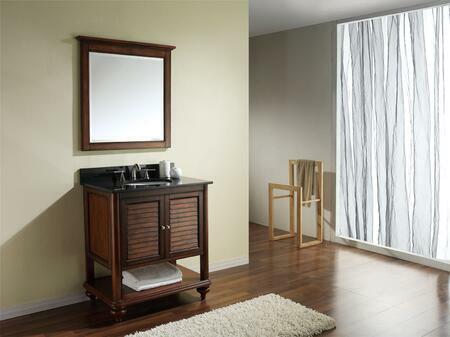 vanity adds warmth with a touch of nostalgia to your bathroom. 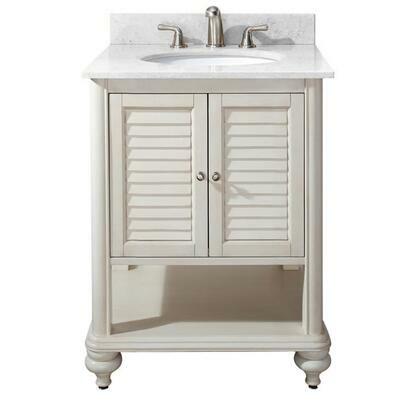 Offered in a rich antique white finish over solid Poplar and veneer construction. Its features include soft-close cabinet hinges, adjustable height levelers and bottom open shelf for storage. It is accented with brushed nickel hardware. 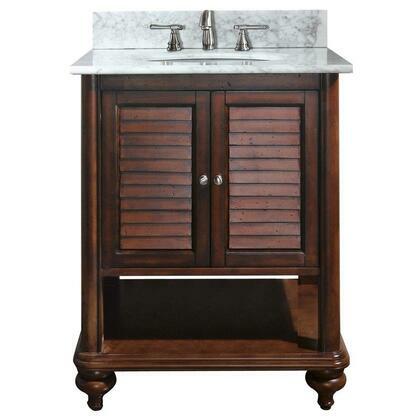 The vanity combo includes a carrera white marble stone top and undermount sink.